Snow White Pearl 2019 Kia Niro FE FWD 6-Speed Dual Clutch 1.6L 4-Cylinder...This Niro is well equipped with the 7" inch touchscreen and both Android Auto and Apple CarPlay Smartphone Integration included. You'll also get SirusXM Satellite Radio, Bluetooth Wireless Technology, Remote Keyless Entry and KIA's UVO eServices...Plus you'll get 52/49 City/Highway MPG. This is way more than a regular SUV. We have it ready for you here at Oakes KIA. Snow White Pearl 2019 Kia Niro EX FWD 6-Speed Dual Clutch 1.6L 4-Cylinder...This Niro is well equipped with the 7" inch touchscreen and both Android Auto and Apple CarPlay Smartphone Integration included. This is in addition to the advanced safety features like Blind Spot Detection System (BSD) and Rear Cross Traffic Alert (RCTA). Plus the EX Advanced Technology Package giving you these popular features.. Autonomous Emergency Braking (AEB), Forward Collision Warning (FCW), Lane Keeping Assist-Line (LKA), Smart Cruise Control and a Power Driver's Seat with Lumbar support. Plus you'll get 51/46 City/Highway MPG. This is way more than a regular SUV. We have it ready for you here at Oakes KIA. Silky Silver 2019 Kia Niro EX FWD 6-Speed Dual Clutch 1.6L 4-Cylinder...This Niro is well equipped with the 8" inch touchscreen and both Android Auto and Apple CarPlay Smartphone Integration included. This is in addition to the EX Premium Package including Harman Kardon Premium Audio w/Clari-Fi, Leather seats, Heated & Ventilated Front Seats and a Power Driver Seat w/Lumbar Support. Plus advanced safety features like Blind Spot Detection System (BSD) and Rear Cross Traffic Alert (RCTA), Autonomous Emergency Braking (AEB), Forward Collision Warning (FCW), Lane Keeping Assist-System (LKAS) and Smart Cruise Control. Plus you'll get 51/46 City/Highway MPG. This is way more than a regular SUV. 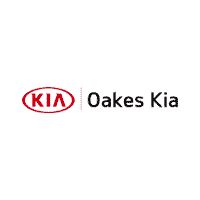 We have it ready for you here at Oakes KIA. Aurora Black 2019 Kia Niro EX FWD 6-Speed Dual Clutch 1.6L 4-Cylinder...You'll like this Niro it's well equipped with the EX Premium Package which includes. Harman Kardon Premium Audio with Clari-Fi, 8" inch Touch Screen with Navigation, Android Auto and Apple CarPlay Smartphone Integration, SiriusXM Radio, Bluetooth Wireless Technology, Push Button Start with Smart Key, Heated and Cooled Front Seats with a Power Dirver's Seat. Plus a collection of Advanced Safety Technologies including Autonomous Emergency Braking (AEB), Forward Collision Warning (FCW), Lane Keeping Assist System (LKAS), Smart Cruise Control (SCC) and Auto-On/Off Headlamps. Plus along with all of these features you'll get amazing fuel economy 51/46 City/Highway MPG. This is a lot more than just a hybrid, come in and check it out at Oakes KIA.